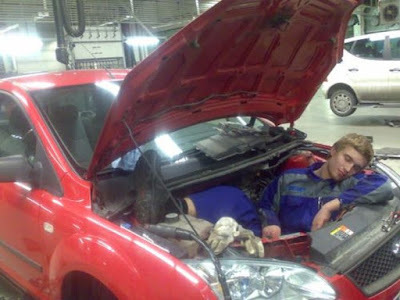 While working on a car, a mechanic accidentally swallowed some break fluid. He liked it so much that he drank some more. The next day he took another swig, and by the end of the week he was hooked on the stuff. His mate said, "You're nuts to drink brake fluid! It's poisonous. You've got to give it up."